At Denison State School in Emerald, Queensland, several student have undergone a online course which qualifies them as "XO Experts". These students man a Help Desk. It's to them that other students turn when they have issues with the XO. 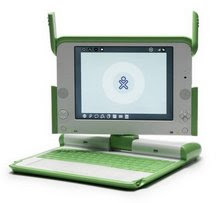 Denison's OLPC Coordinator Trish Noy says: "Students are driving this program, they take very seriously their role within the program and their leadership role within the school."